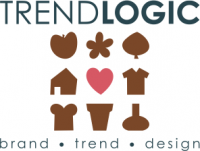 TRENDLOGIC works for clients of different sectors like, FASHION, FOOD, HORTI and DECORATION. Besides brand consultancy and design management, trend and colour advise is given on a regular base. Horticulture clients embrace total brand stories since TRENDLOGIC was founded in 2006. We are really proud that companies as Opti-flor, SV.CO, Amigra, LG flowers and a lots of others totally changed their marketing and design by working with the TRENDLOGIC team. We do not ask them for promoting me by sending quotes. The proof of the effectiveness is to be seen in their success!